This post is part of the Happy Wives Club Blog Tour, with hundreds of inspiring bloggers. To learn more and join us, CLICK HERE! Did that title grab you or what? Does it seem rare to hear about a “happy wife”, a woman content and satisfied in her marriage? I don’t know about you but there have definitely been seasons in our marriage where I’ve struggled being the “happy wife”. Believe me, it’s never been my husband’s fault (He’s the whole package, and a bag a chips). My discontent comes when I rely too heavily on Bruce to fill ALL my needs. When I’m not spending time with God and I’m not reaching out to girlfriends, those are the times I am disappointed. Because God made Bruce to be my helpmate, not my everything. On the other hand, when I’m fully dependent on God, calling friends regularly to chat, and making sure I meet Bruce’s needs**? That’s when I’m a member of the Happy Wives Club. It’s a real thing! My friend, Fawn Weaver, was tired of all the negative media about marriage, especially felt it didn’t represent her fulfilling marriage. So she took action and emailed a couple friends to start a “Happy Wives Club”. That club grew to an international, online community of over 150,000 members. The best news? Her book releases tomorrow! I haven’t read it yet, but I honestly can’t wait to learn the 12 secrets these couples shared with her. Choose your friends wisely: Surrounding yourself with others who build up marriage rather than attempt to tear it down is a must. People who believe in the power of love and the ability for a marriage to last a lifetime, these are the ones allowed into the inner circle of those happily married. Laugh your buttocks off! Don’t take yourself too seriously. Those happily married can joke about each other’s shortcomings, quirks and idiosyncrasies without getting offended. Have no plan B. Have no plan B; it distracts from plan A. Removing divorce from the marital equation removes the pressure to come to a resolution on a disagreement immediately. It lets you agree to disagree and helps you ease into discussions rather than crashing into arguments. Having no plan B allows love to prevail above all failures, mistakes, and doubts. Pretty awesome, right? Wouldn’t you love to read 9 more? Apparently the book is described to be like “Eat, Pray, Love meets The 5 Love Languages.” You can grab a copy HERE. **I guess it’s a “Marriage Monday” of sorts because I’m also over at the MOB Society today encouraging the mom who feels like she is failing as a wife. Click here to read more. If Fawn interviewed you, what secret would you share to being a happy wife? Love it. And love that #2.
right? laughter always helps us out in big, big ways! 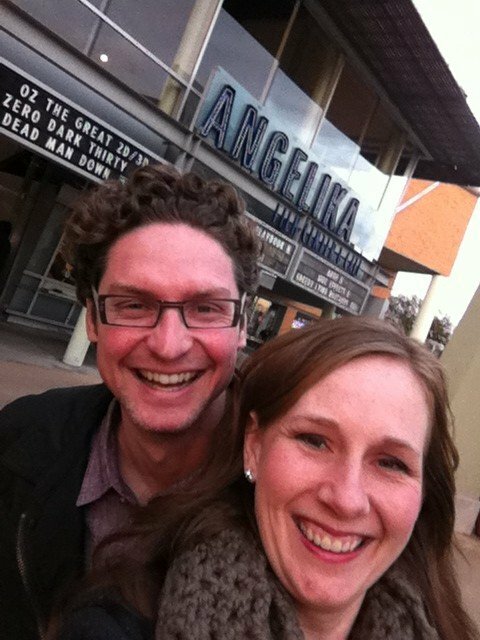 A little Tim Hawkins or Jim Gaffigan…always the best medicine for a grumpy marriage. Oh how I need this. Especially number 1 as I realized as I was reading this I yearn for friends like that and wonder how things might be different if I was surrounded by women building up marriage. And number 3…no plan B. WOW! Thank you! thankful they were helpful to you! I can’t wait to see what other amazing secrets Fawn shares in her book. Praying God brings some “happy wives” to surround you this year! Love This! Thanks as always! The Secret that I would share would be to pray for your husband, not for God to change him but to change me and how I’m looking at this or that.